One of the biggest challenges of space exploration is learning how to live in outer space as humanity expands its reach into the solar system and beyond. New approaches to developing habitats for space are of great interest, and there is no better source of new perspectives then students. At the 2017 Revolutionary Aerospace Systems Concepts – Academic Linkages (RASC-AL) Space Design Competition, a University of Maryland Department of Aerospace Engineering team competed in the development of these new concepts. The UMD team was awarded second place for their innovative design. Sponsored by NASA and managed by the National Institute of Aerospace, RASC-AL allows university-level students studying fields applicable to human space exploration to create aerospace designs that support life in outer space. Students compete in teams to construct human-scale architecture concepts based on themed NASA engineering challenges. In turn, NASA is offered access to new research and design projects by students. The theme taken on by this year's UMD team was Commercially Enabled Low Earth Orbit (LEO)/Mars Habitable Module. The team project was Ultima Thule, a detailed design of a commercial space habitat to succeed the International Space Station in LEO, with adaptability to also serve as a Mars transit habitat. The UMD team took second place in the Undergraduate Division and second place overall. 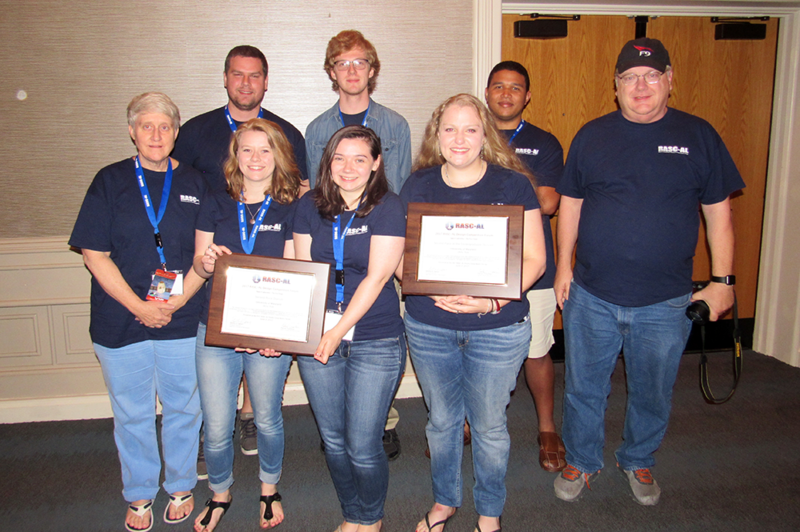 UMD competed against the top technical institutions and colleges across the country and lost only to Virginia Tech, who won in both the undergraduate division and the overall awards. The UMD team beat 12 other teams for the overall awards, including the Massachusetts Institute of Technology (MIT), who placed first in the Graduate Division. The team consisted of students in the ENAE484: Space Systems Design course, including 41 seniors in aerospace engineering. The team was represented at the competition in Cocoa Beach, Florida, by Brandi Churchwell, Elisabeth Cutchin, Daniil Gribok, Leandre Jones, Paige Pruce, and Sean Shriner. The team was mentored by Professors Dave Akin, Mary Bowden, and Andrew Becnel and graduate student Jarred Young. As a result of the team's success, they will be sponsored by NASA to present a professional paper on their design at the American Institute of Aeronautics and Astronautics (AIAA) 2017 Space Conference in September in Orlando, Florida.